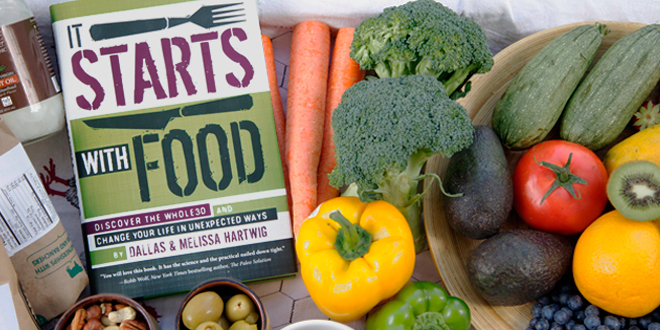 In some ways, I feel like there’s nothing I can say about this book and the corresponding diet – Whole30 – that hasn’t been said by thousands of other people online, on other blogs, and on Amazon. However, there is one thing I’ll say about this book that not a lot of people talk about. This kind of life-change needs internal motivation, not cajoling from the outside. I have to say, I inadvertently bullied my husband into reading this book and doing the diet and his heart wasn’t in it. A year later, though, he embarked on a Whole30 on his own and had a great experience. You are you, the only you you’ll ever be. Listen to yourself and your body. Read through everything in the book at your own pace. Here’s my (abbreviated) story with ISWF. I had this book for months (MONTHS) before I cracked it open. And then I opened it with low expectations, leafing listlessly and cautiously. This stage lasted several days if not weeks. I wouldn’t say I even truly read anything I was basically skimming around, being a weirdo. Then one time I opened the book during a commercial break of some random prime time TV show and I started to get inspired. Suddenly I was ripping through the pages like Cher Horowitz rips through her closet on an important school day. (I’m a firm believer that one can never have too many Clueless references.) I jumped on the website and downloaded all the awesome free materials that go along with undertaking a Whole 30. After that I actually started reading. Really reading and absorbing what I read. I did what the authors recommend and I skipped a lot of the science-y stuff (I went back and read through a lot of it later, though) and went straight for the Whole 30 chapters. And then I started the Whole 30 two days later. Boom! After months of tip toeing around the book and the concept I just jumped right in really quickly. That’s the secret: No one can convince you to read this book and do the 30 day elimination diet. No amount of “I feel amahhhhzing! Omg!” posts on Facebook or Instagram will convince you. You have to do the research, explore, absorb, walk around, peek in, and come around on your own. Because, in the end: It really is all about YOU. This is not about being self-centered or selfish. You’re doing a science experiment of one. You’re not listening to your mom, your best friend, your science teacher, your Weight Watchers buddy, or even that dietitian on TV. You’re listening to your own body. 30 days eliminating foods that typically cause issues and then a few more days of re-introduction of each food group. And you’re done – armed with a complete nutrition plan customized to you. Cuz you’re special. Questions? Drop me an email or post in the comments! What an AMAZING post about ISWF and the Whole30. You’re so honest and it’s so true! The motivation really does have to come from within yourself.